The NHL Cheat Sheet is your quick-hit daily look into the top lines and line changes, fantasy studs, value picks and more to help you navigate your DFS Hockey lineups. McDavid enters tonight leading the league with 94 points and riding a 10-game point streak that has seen him produce an incredible 19 points and 32 shots on goal (SOG). McDavid has goals in three straight games and has five points and 12 SOG in his last two games. 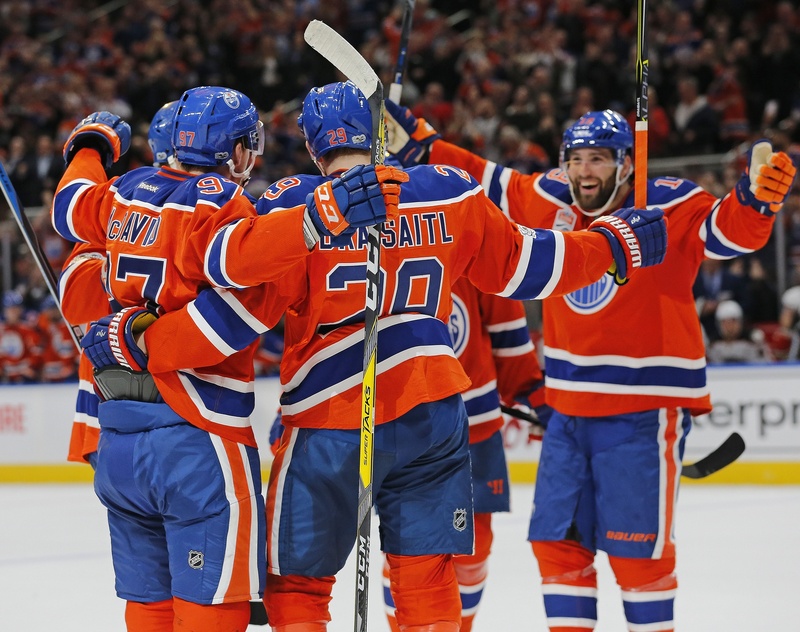 Draisaitl is matching McDavid with a 10-game point streak with 18 points of his own. The duo has combined for nine power play points (PPP) on this hot streak. Maroon has points in back-to-back games and he has 10 points in his last 10 games. This trio has combined for 10 points in four games against the Kings so far this season. Despite the recent offensive struggles of Ovechkin, I think he and this line are a great option tonight against the Leafs. Ovie is mired in a three-game slump but he does have 10 points and five PPP in his last 10 games, and he has two points in two games against the Leafs this year. Backstrom has been tearing it up as of late with 14 assists, 16 points and eight PPP in his last 10 games. Oshie enters tonight with a four-game point streak with 11 points in his last eight games. He has three goals and two assists in his last four games. The Caps get the Leafs tonight on the second night of a back-to-back and starting their backup goalie. Patrick Kane ($8,100) – Despite firing off five SOG on Sunday against the Bruins, Kane was held in check and ended his three-game point streak. He has 11 points and 28 SOG in his prior nine games and has a great matchup tonight against the Avalanche, who are allowing 3.4 goals against per game, the most goals against per game in the NHL this season. Kane has three points in four games against Colorado this season and is second in the NHL in scoring this season with 87 points. Kris Versteeg ($3,600) – Versteeg has points in four of his last five games, dominating the opposition on the power play (PP) in that span. Versteeg has six points in his last five games with two goals and four assists. Five of his six points have come on the PP where he’s skating on the Flames’ top unit with Johnny Gaudreau and Sean Monahan. Jannik Hansen ($3,900) – Hansen is skating on the Sharks’ top line with Pavelski and Thornton and has looked very good over the last week. He has points in three of his last four games with two goals, three assists and nine SOG in that span. 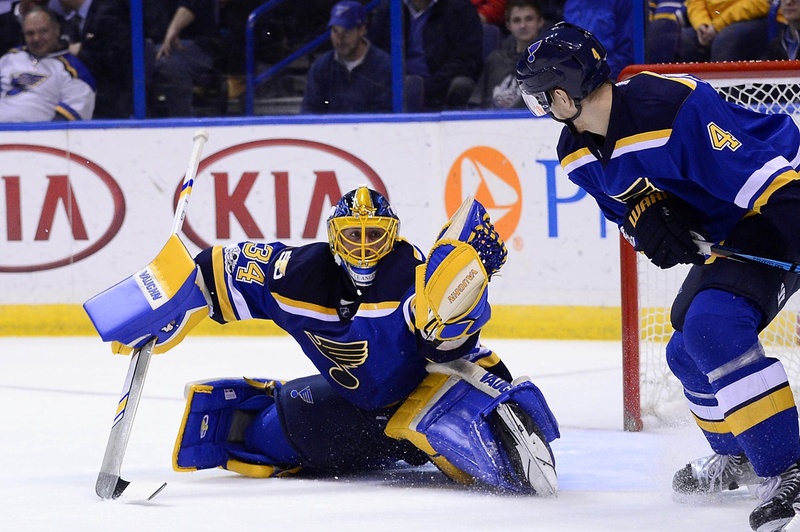 Jake Allen ($8,300) – Allen continues to play sterling hockey at the moment posting a 7-1-2 record in his last 10 games with a 1.48 goals against average and a .949 save percentage in that span. He has not lost in regulation in almost three weeks and he gets the nod at home tonight, where he’s 18-8-3 on the season. Devan Dubnyk ($8,200) – It’s been a struggle lately for Dubnyk who was easily the front-runner for the Vezina for the majority of the season. He’s 2-5-2 and has allowed 30 goals against in his last 10 outings. But he bounced back with a great outing over the weekend against the Avs, stopping 30 of 32 shots to pick up his 38th win of the season and he has a favorable home matchup tonight against the Hurricanes. Jared Spurgeon ($5,200) – Spurgeon has had the best season of his career so far posting new highs in assists, points and SOG. He has five points, five blocks and nine SOG in his last four games and he has seven points in his last nine games overall. Marc-Edouard Vlasic ($4,100) – Vlasic enters tonight riding a four-game point streak and he gets great peripheral category coverage. He has one goal and three assists in his last four games and has added 10 blocks and 12 SOG. He’s averaging over 5.0 FPTs per game in his last four, up from his 2.7 FPTs per game average this season. Erik Karlsson ($7,200) – Karlsson returned to the Senators’ lineup last night after missing his last two games and posted a big game against the Red Wings, who he plays again tonight. He posted a PP goal and an assist and fired off seven SOG and logged over 30 minutes of ice time in the shootout loss. Shayne Gostisbehere ($4,900) – Ghost is finishing the season strong for the Flyers and has an appealing PP matchup against the Devils tonight. He has a five-game point streak going into tonight’s game with one goal, six assists, three PPP and two multi-point games. They face the Devils who have lost six in a row and are bottom-10 in the league in penalty killing. Make sure to check out the Cheat Sheet every day, and, as always, for any DFS Hockey questions or comments this season, find me on Twitter at: @JHarding_Hockey. I am a promoter at DraftKings and am also an avid fan and user (my username is HardingJ2) and may sometimes play on my personal account in the games that I offer advice on. 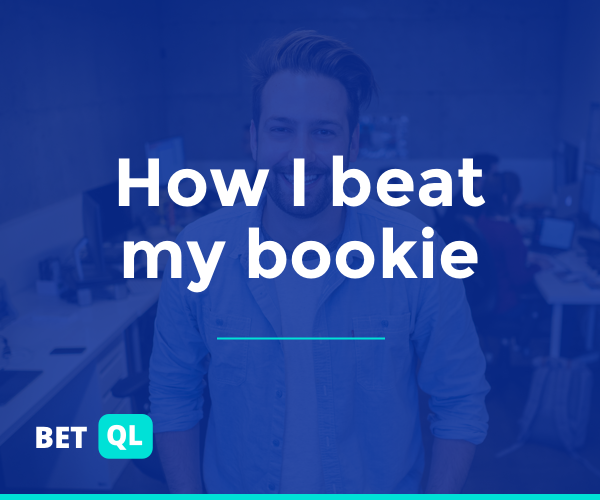 Although I have expressed my personal view on the games and strategies above, they do not necessarily reflect the view(s) of DraftKings and I may also deploy different players and strategies than what I recommend above. The post NHL Cheat Sheet: April 4th appeared first on DraftKings Playbook.